DXN USA online order information. 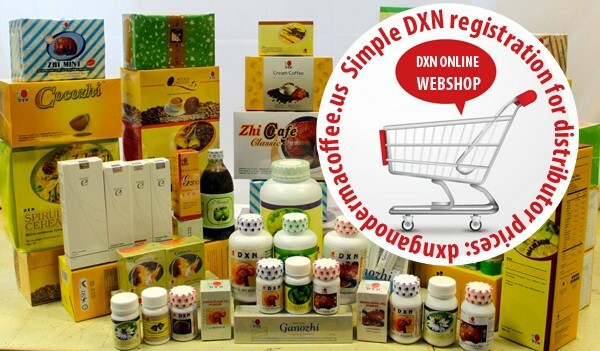 Buy DXN products online from the DXN USA Webshop. On retail price without registration or on distributor price as DXN member. Shipping and handling fee is $ 7.95 with retail orders. Why is it worth to join DXN? You can buy DXN products cheaper, on distributor price, whis means about 30% discount. Shipping and handling fee is $ 5.00 for DXN members. How to become DXN member from the USA? DXN does not make a distinction between the registrations of consumers, returning customers and business builders. It’s up to you what would you like to do with it, it’s your decision. Or here is our video tutorial. A. Do you live in the USA and do you have a valid social security card? US Member Log In >>> After this you can use DXN USA online order on member price. You can buy a membership kit- 43 USD. B. Do you live in the USA, but not as a US citizen? How can you use (register and order) the DXN US System? Foreign Member Activation >>>You will receive the password in 24 hours. Please check the spam folder, maybe it goes there. Foreign Member Log In >>> After this you can use DXN USA online order on member price. Shipping fee: Free in March,2016 for DXN members. You do not need to build the business, if you do not want to, you can simple enjoy the DXN coffees. If you have any more question, please let us know.